Health advocates joined police chiefs at a news conference Thursday—ahead of the legalization bill’s first public hearing next week—to highlight what they say are dangers for young people and the public at large. Dr. William Goodman, chief medical officer at Catholic Medical Center in Manchester, said New Hampshire should not following neighboring states that have legalized cannabis, but wait for more research and data. Kim Haley, coordinator of the Student Assistance Program at Second Start in Concord, said the bill lacks health protections for youth at a time when a quarter of New Hampshire young people reported using marijuana, according to a 2017 Youth Risk Behavior Survey. “New Hampshire is already grappling with some of the highest substance misuse rates among youth in the nation,” she said. Chief Mark Chase, president of the N.H. Association of Chiefs of Police, expressed concern with public safety and a lack of oversight. The proposed law would conflict with federal law, which classifies marijuana as a Schedule I drug. “We have the opportunity to learn from the errors that other states are making right now and take our time and do things the right way,” Chase said. The advocates also said they faulted the bill for having no limits on types or potency of marijuana products. Gov. Chris Sununu is against marijuana legalization. The Governor's Commission on Alcohol and Other Drugs opposed the bill. The New Hampshire Medical Society recently updated a position on recreational use of cannabis. It encourages further research on the impact on public health and justice-related issues. Its position includes these bullet points, saying it will consider support for legalization of recreational use of cannabis by adults in New Hampshire when,"
An effective system for collection, analysis and dissemination of relevant public health and safety data is in place to determine the impact of legalization and to guide revisions in policy and regulation in support of public health and safety." Rep. Renny Cushing, a Hampton Democrat who is a prime sponsor of the legalization bill, said the legislation was drafted by leveraging data and findings from a recent commission tasked with studying marijuana legalization, regulation and taxation. In discussing the bill, he told NHPR, "I think we're in a situation where we're on the right side of history, so to speak." The House Criminal Justice and Public Safety Committee's hearing onthe bill is scheduled for Tuesday at 1 p.m. in Representatives Hall at the State House. Members of the public who are against legalizing recreational marijuana spoke with lawmakers Wednesday about their concerns that it would lead to underage use. 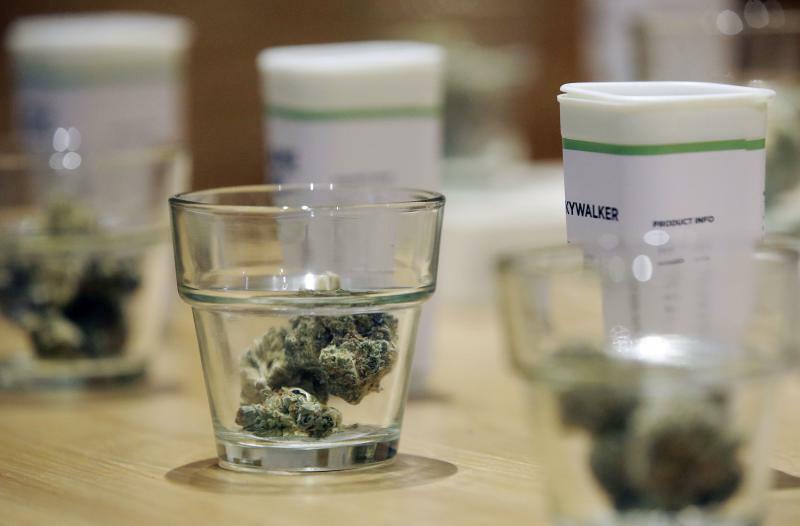 A company that sells marijuana in Northampton and Brookline, Massachusetts, has been sold.